Here are 8 ultimate money saving tips for the elderly which might just help you to cope from day to day. Many people switch energy suppliers online, getting the best deal with comparison websites. However, you don’t have to go online to benefit from a good deal. The Energy Helpline will guide you through the process over the telephone and can give individual advice. Call them on 0800 074 0745. The pension credit is a top-up to your pension that you may be able to claim. If you are over the state pension age and have an income under £145.40 a week or £222.05 for couples then you could be eligible. Call 0800 99 1234 to find out. 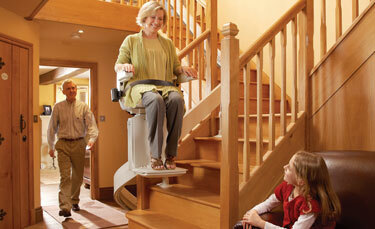 If you suffer from a disability and need to make changes to your home then you may be able to apply for a grant from your local council to put towards the price of a stair lift for example. Find out more about the Disabled Facilities Grant or contact the housing or environmental health department of your local council. If there are more bedrooms in your home than occupants then you could save money with a water meter which will only charge for the amount of water you use rather than a flat rate. Check out the online tool to measure your water consumption. Also, if you receive certain benefits you may be able to save under the WaterSure scheme by performing a quick search in your favorite search engine – contact your water company for more information. As pensioners sometimes have multiple income sources, each source has to be coded correctly. HMRC can make errors in tax codes resulting in people paying too much. Tax Help for Older People can help you check if you are paying the correct amount in tax. 6. Have you Overpaid Council Tax? Many people are paying too much for council tax due to their homes being in the wrong band. If your home is in the wrong council tax band you could claim backdated council tax payments. Not all insurers who specialize in older people offer the best rates. Always shop around for the best deal and never let your insurance just roll-over. They often charge the highest tariffs. You can save by paying direct debit, if you can, and many energy companies will change your meters for you free of charge if you switch to them. Making sure you claim everything you are entitled to and make savings where you can, could make a huge difference to your income. For more individual advice contact your local Citizen’s Advice Bureau. This entry was posted in Costs, Health and tagged eight, money, saving, tips. Bookmark the permalink.